As a wealth management expert, Graff is trained to recognize a good investment. She is also a philanthropy expert; she knows how to vet a charity and assess its credentials and influence. "Having checked out Free the Slaves pretty carefully, I consider it an excellent investment. The leverage they have is amazing." "I free slaves because it is a moral imperative," she adds. "Once you understand that slavery exists, once you understand that you can help, how can you not become part of the solution?" Graff knows precisely how FTS maximizes its resources to make the most impact. 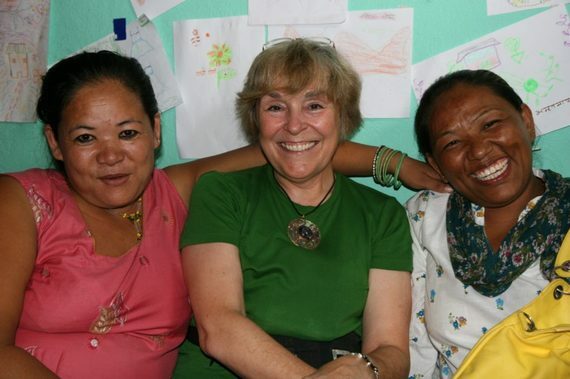 In 2012 she was in Nepal with a group of community activists supported by FTS. A local woman, who had dedicated her life to fighting slavery, was walking six hours from her tiny community to visit the most remote areas in the Himalayas to talk to villagers about the trap of slavery. "All FTS had to do to enormously increase her impact was buy her a motor scooter," Graff says. "So now instead of visiting one village per day, she can visit a dozen, and spread the word." In community after community, one to the next, vulnerable people now know what it means when someone comes to their village promising fantastic work elsewhere. One of our most committed supporters, Graff shows us that we truly can free slaves. Modern slavery can seem like an insurmountable problem, an intractable issue. It is hard, Graff acknowledges, to grasp philanthropy on a small scale, an individual level. She understands that people may well wonder: what could I possible do to end slavery? She knows that even the smallest contributions--especially the smallest--can grow briskly and exponentially with time. Graff has a compelling message to those who doubt they can make a difference. "I want you to know that philanthropy is addictive." When Graff was a child, she sent a dime every month to a favorite charity. For years she sent her dimes. The money itself was a tiny sum, yet the act of making a small gesture of support hooked Graff on the idea of giving. "Once you figure out that you can give a little teeny tiny bit, then the next year it gets a little bit higher." With each passing year, as work experience and money management lead to more income--and opportunities--the door to becoming a serious donor opens up. "When you're in your peak earning years," Graff explains, "you can start being involved in major philanthropy." Even the prospect of retirement does not have to put an end to giving. Graff helps her clients plan wisely for their future and reach financial independency--a time when they are truly free to continue working if they choose and support charity work however they wish. "You can retire; you have the ability," Graff counsels. But what if you don't? "If you're enjoying your job and stay in your job, everything you earn is then discretionary. You can give it all away." She urges people to think differently about their money, and just how much good they can do with it. Philanthropy can start anywhere, at any level. For Graff, it was 10 cents a month. The cause that speaks most to Graff's heart is fighting slavery. Her annual donation to FTS impacts lives all over the world. Her support frees slaves on the ground and funds programs that keep hundreds of people from falling into slavery in the first place. "I think of my annual check to FTS as being the most important thing I do all year," she says. Graff first learned of modern slavery when she caught the title of a TV documentary and thought the subject seemed utterly improbable. So she sat down to watch. "In one hour that TV show changed my view of the world irrevocably," she says. She saw the horrific conditions and brutal exploitation slaves must endure. She saw the work of FTS Co-founder Kevin Bales, a pioneer in community-based methods to liberate slaves and change the conditions that allow slavery to persist. "In that hour, I became an abolitionist." The unspeakable evil of slavery exists in areas of extreme poverty. It exists where people are the most vulnerable. Graff realized that the only way to confront and end slavery was to become part of the solution immediately. 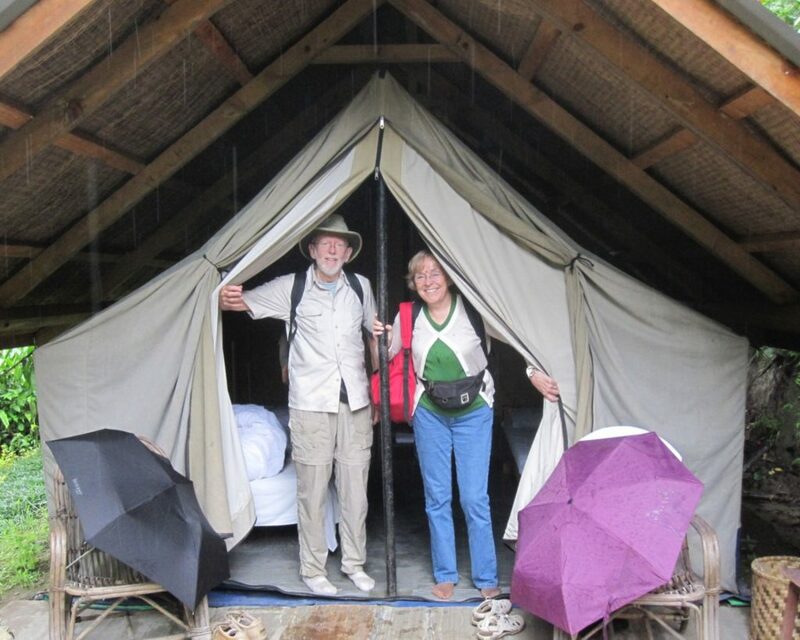 In addition to being an annual donor, Graff and her husband run a foundation that has supported FTS work in Nepal and Ghana. Seeing modern slavery up close forever changed how Graff sees the world--and her own small slice of it. Her trip with FTS to Nepal was very difficult. She struggled to hear the stories of freed slaves. One day she found herself in a remote village, in a temple, surrounded by villagers sitting cross-legged on the dirt floor in front of her. "They gave us the few benches to sit on," she recalls. "It was beastly hot." Graff was the only one in the group with a computer, so she became the scribe. A local woman told her story as Graff typed as fast as she could, her sweat and tears washing over the screen. Graff was determined not only to bear witness but to record what the woman was saying. "I'm so grateful that she shared that story with us," Graff says. "But when she finished, we realized that so many people in the gathering had similar stories to tell: stories of escape, stories of the monstrous things that they suffered at the hands of their enslavers." She knew those people sitting before her had suffered terrible, unknowable things that she would never understand. FTS staff told her that these messages had injured her, and she would need time to heal. Later, at home in the States, Graff took a historic plantation tour in Louisiana that included a walk through the slave quarters. The grounds seemed haunted, and she couldn't stay there. "There were too many ghosts," she says. "There were too many stories I knew never had a chance to be told." There is slavery in every country of the world--and, as Graff came to understand, still in our world, too. 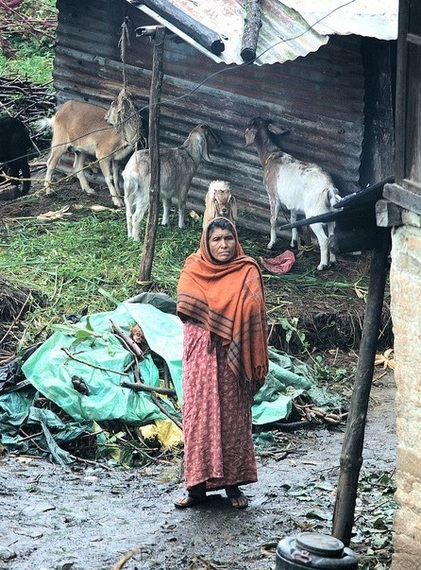 "Anywhere there is abject poverty, there is going to be slavery," she says. "We can look for ways that we can help things here. We can fix this." Graff knows exactly when her journey to philanthropy began. She thinks back to those dimes. Today is she a major FTS donor, and she understands perfectly how far her contribution can go. The fight against slavery requires many things: partnering with effective grassroots groups, listening to local leaders, warning villagers, encouraging local economies, educating police, alerting journalists, changing laws. The FTS approach is community-based--we find local activists and empower them with specific tools to help their people. "There are so many things that need to be tackled in order to make a dent in slavery," Graff says. "All of these things take money. We can make such a huge impact with our donations." Graff is a big believer in due diligence. We are honored she believes so passionately in Free the Slaves: "It's in their DNA to have a deep understanding and a deep level of knowledge about how things work." "It's just a tremendously efficient but especially effective organization. If I could find, in the real world of investments, something that has that kind of payoff, that would be a wonderful thing." See other inspiring profiles in our "Why I Free Slaves" series here.